In the middle of winter a young novelist William Magee travels to a summer tourist town seeking for solitude and inspiration for his greatest novel yet. 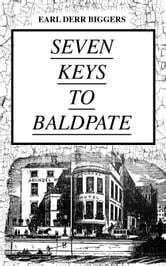 He gets to the Baldpate Mountain resort, and even though the hotel is closed he makes an arrangement with the caretaker and gets the key to the hotel. But soon after he gets in, he finds out that he is not the only one there, for there are seven keys to the place and seven people with various stories of why they are there. Earl Derr Biggers (1884-1933) was an American novelist and playwright best known for his mystery novels. 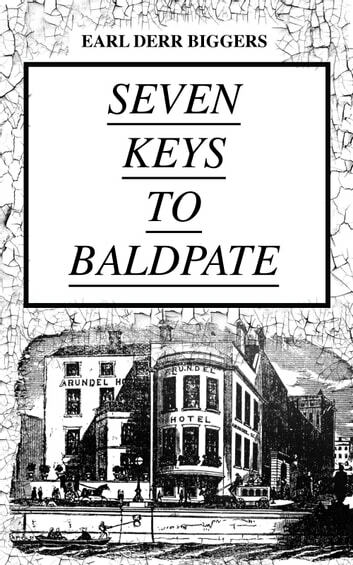 His first novel Seven Keys to Baldpate was a major success and it was adapted into several movies and plays. Even greater success came with his series of detective novels featuring Chinese American detective Charlie Chan. Many of his novels were made into movies.